November 9th, 2010 by KTU | Filed under 6. 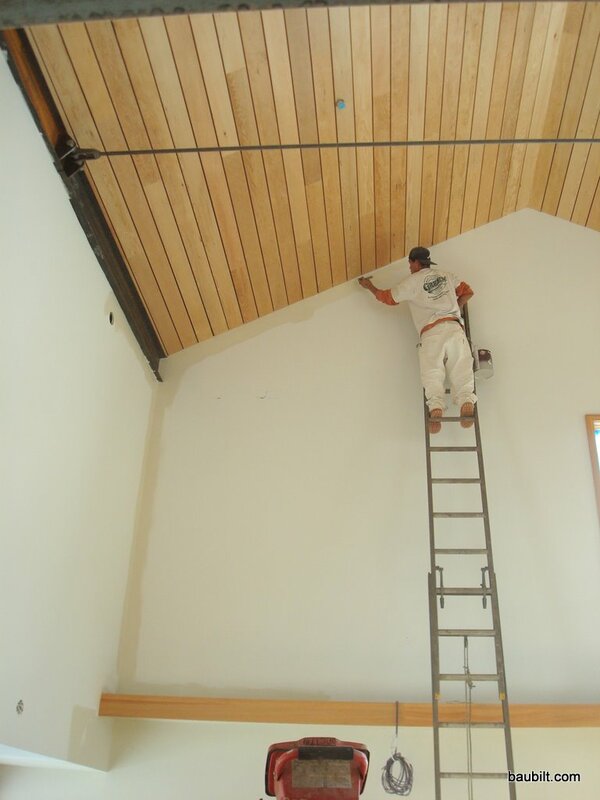 Interior Materials and Finishes, Park City Mountain Modern. 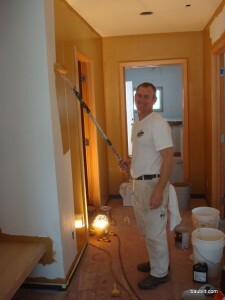 My painter is Green Painting of Utah, which is owned by Joel Marsh. Joel and his crew of a half-dozen guys take their work very seriously. They painted the bulk of the house in four long days (i.e., 6am – 6pm). 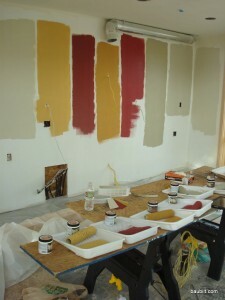 We used Benjamin Moore Aura paint in the Affinity Color line for the main living areas. It’s very nice paint. A shout out to Joel and crew: these are the only subcontractors who obsessively cleaned up. They even cleaned up after everyone else before they started. They taped down red rosin paper and were super careful. Nice. Joel applying "Tumeric" to the front hall. Painting the great room end wall. I'm glad I'm not doing this.